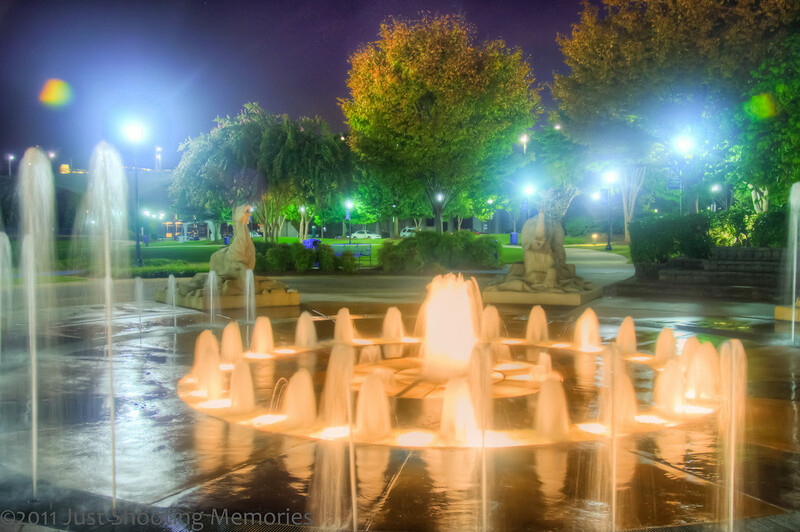 The Fountain in Coolidge Park | Just Shooting Memories! I like water. If I had grown up with a pool, I would have probably been a competition swimmer. But, I did not. However, I had the good fortune to learn both how to kayak, the whitewater version, and scuba dive at 12 years old. That was a lifetime ago. So when I get to see anything water, whether it is a waterfall or a fountain, I feel right at home. With the heat already moving in for the summer, and it’s not even far into spring, this looks so inviting.